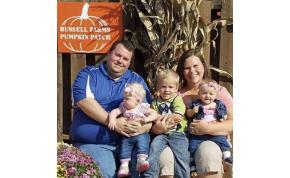 Russell Farms, Noblesville's destination for family agri-tainent! Enjoy a trip out to the country to learn all about agriculture and farm life while having a great time. Along with pumpkins, Russell Farms has hay wagon rides, two corns mazes, a mini golf course, farm animals and more!